Is Vitamin D the cause of your life slipping away – bones and all? Up to 90 percent of people reading this article are suffering from vitamin D deficiency and its symptoms, which can lead to significant health issues, such as osteoarthritis, arthritis, leg and joint pain, cardiovascular disease, diabetes, cancer and autoimmune diseases. Without a doubt, vitamin D is one of the essential fat-soluble micronutrients when it comes to your health. It’s involved in just about everything, from immunity to brain function, and researchers are still regularly turning up new ways that vitamin D affects your well-being and ways to self-healing. The way our bodies make vitamin D is to convert sunshine into chemicals that are used by the body. When UV-B sunshine rays land on the skin, a substance in the skin similar to cholesterol is converted into vitamin D3. The liver, and then the kidneys, are involved in the steps that eventually result in a bioavailable form of the vitamin that the body can use. What we know as vitamin D3 is really a precursor to a steroid hormone. It impacts not only our skeletal structure, but also our blood pressure, immunity, mood, brain function, legs, knees, bones, joints, feet, and ability to protect ourselves from cancer. One of the most well-known benefits of vitamin D is its powerful effect on bone density. One of the hallmark symptoms of a severe deficiency of vitamin D is reduced bone mineral density which is painful. I have experienced it. Getting regular sun exposure is the best way to keep your bones healthy and strong to reduce the risk of these conditions. Vitamin D works closely with calcium, phosphorus, potassium and magnesium for your legs, bones, joints and feet. Make sure you are getting adequate amounts of them in your microgreen diet. See my summary article for examples of what to eat. Vitamin D aids in cell replication and protects against the development of autoimmune conditions and infections like the common cold. Vitamin D will also help prevent prolonged inflammation, which is often at the root of many chronic health conditions. Inflammation plays a major part in painful legs, joints, bones and feet; heart disease, diabetes and cancer along with a wide range of inflammatory conditions like rheumatoid arthritis, lupus and inflammatory bowel disease. Vitamin D has an integral role in nearly every aspect of health, which is why it’s crucial to become conscious of getting regular sun exposure. Change your lifestyle, set your alarm to remember. Perhaps eat your lunch in the park in the sun. As I have mentioned, adequate D3 (not added D2 in fortified man-made foods) is associated with improved absorption of essential elements including calcium, magnesium, iron, phosphate, zinc, and copper. These are all important in painful legs, bones, joints and feet. What has mostly been forgotten, however, is that higher levels of D3 have been linked to enhanced absorption of toxic elements, if you are exposed to them, such as aluminium, cobalt, and lead as well as radioactive isotopes including caesium and radioactive strontium. Warning, vitamin D increases cadmium absorption. Cadmium and its compounds are highly toxic, and exposure to this metal is known to cause cancer and targets the body’s bones, joints, cardiovascular, renal, gastrointestinal, neurological, reproductive, and respiratory systems. Cigarette smoke is the most likely area to expose yourself to this dangerous compound. The bioaccumulation of such toxic metals, in turn, appears to disrupt the functioning of vitamin D within the body which will result in health problems, particularly in the older members of the planet, like me. Discover if you have these toxic compounds in your body by doing an ultrasound scan which will show up these little killers. And then, become consciously aware of your lifestyle exposing you to these and other toxic chemicals. Several dietary minerals contribute to bone and joint strength. But calcium and phosphorus are the essential minerals for healthy bones. About 99 percent of the calcium and 85 percent of the phosphorus in the body is found in the bones, joints and teeth. These two minerals work together with vitamin D3 to keep bones strong and prevent osteoporosis, a painful bone-thinning disease. As we all know, calcium is crucial for developing and maintaining strong, healthy pain-free bones, legs and joints. This essential mineral is stored in the bones and is also found in the blood where it helps regulate heart rate. Vitamin D3 enhances calcium absorption from the digestive tract for improved bone formation and bone density. When you don’t consume enough calcium, the body via the kidneys, extracts it from your bones. Calcium, particularly when combined with vitamin D, will help prevent bone loss. While the best source of vitamin D is freely available via exposure to the sun, many older people may not get enough sunlight exposure. This oversight has serious consequences. Vitamin D with Vitamin K.
Vitamin K is a nutrient that performs a critical role in blood-clotting mechanisms in the body. It also plays a crucial role in maintaining bone density by binding with calcium. Vitamin K works in synergy with vitamin D to help the body absorb and use calcium effectively to maintain and repair bone. You can increase your vitamin K intake by eating microgreen organic-foods such as broccoli, Brussels sprouts, chickpeas, kale, and free-range eggs. Phosphorus is an essential nutrient that is required by every cell in the body. Along with calcium, it also forms the solid mineral foundation of your bones and joints, and almost 85 percent of the body’s phosphorus is found in the skeleton. Vitamin D helps to balance phosphorus levels in the body by increasing the absorption of this mineral from the digestive tract. Phosphorus is readily available in most foods because it is such a critical nutrient. Rich sources of this vital mineral include free-range meat, wild-fish, organic broccoli, tomatoes, avocado, wheatgrass, free-range dairy products and many microgreens like beans and chickpeas. Vitamin D is the sunshine vitamin because your body makes it when the sun’s rays strike the skin. Just 15 minutes of direct sun exposure onto your skin, without sunscreen, between 10 am and 3 pm, four times a week may be enough for your body to make sufficient vitamin D, assuming you are, Mr Average, under 60 and live in a sunny country. You should make logical guesses for your own local environment to increase the time to fit your body using 15 minutes maximum in a hot climate as your benchmark. Increase the time exposure according to the season. I sit in shorts and a T-shirt on my lawn and use the time to contemplate. Your use of sunscreen. Sunscreen lowers vitamin D levels. Perhaps put it on your face and nowhere else. You need those 15 minutes every other day. Your age. 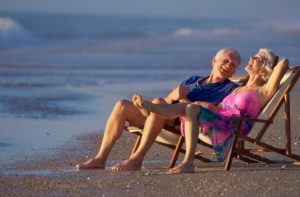 Compared with younger people, older people have lower levels of the substance in the skin that UVB light converts into the vitamin D precursor. Older people are less efficient vitamin D producers than younger people. Take that into account when changing your lifestyle to accommodate your sun exposure. The health of your liver and kidneys. Some types of liver disease can reduce the absorption of vitamin D because the ailing liver isn’t producing normal amounts of bile. These essential steps to vitamin D metabolism can’t occur or occur incompletely. Levels of the bioactive form of vitamin D3 depends on the health of the kidneys. Someone with reduced kidney function, bioactive vitamin D levels will decrease as the function of the organ gets worse. I would suggest you do an ultrasound scan to see the condition of your kidneys. The latitude where you live. At higher latitudes, the amount of vitamin D–producing UVB sunlight reaching the earth’s surface goes down in the winter because of the low angle of the sun. Short days and clothing that covers legs and arms also limit UVB exposure. Use your logic and make adjustments to the 15 minutes on a summer day as your benchmark. Many people assume that the best way to acquire vitamin D is through drinking milk, eating fish or even taking supplements like cod liver oil. While these may serve as small food sources of vitamin D, direct exposure to the sun is the best way to absorb this vital vitamin. When you sit in the sun unexposed, without sunscreen, for roughly 15 minutes, you likely absorb about 10,000 units of natural vitamin D. However, keep in mind that this amount differs from person to person, depending on skin tone and the heat of the sun. Melanin gets released when we are exposed to the ultraviolet rays of sunshine. The more sunshine we receive; the more melanin is released in our skin. It’s believed that up to 95 percent of most people’s vitamin D comes from casual sunlight exposure. The amount of melanin you have in your skin affects the amount of vitamin D you can produce, so the fairer your skin, the more easily you can make vitamin D.
Contributes to the bone, muscle and joint Health. When vitamin D levels are low, the parathyroid becomes overactive. This is known as hyperparathyroidism and results in drops in phosphorous. Phosphorus, in addition to calcium and other compounds, is needed to mineralise bone density properly. Helps Manage Blood Sugar Levels and Can Prevent Diabetes. Diabetes symptoms result from a lack of insulin or inadequate insulin secretion following increases in insulin resistance. Calcium is necessary for insulin secretion, and vitamin D promotes calcium absorption and utilisation, therefore contributing to the regulation of insulin secretion. Vitamin D deficiency symptoms have been correlated with increased risks for cancer development, especially breast, colon and prostate cancers. Vitamin D deficiency is linked to increased risks for cardiovascular disease since it’s involved in regulating blood pressure, cholesterol levels and inflammation. Vitamin D helps with healthy cell replication in the bones, joints, muscle, microbiome and throughout the body. Our immune cells contain receptors for vitamin D, resulting in prolonged or excessive inflammatory responses. Vitamin D is as a hormone within our bodies and affects brain function; deficiency is linked to an increased risk for mood disorders, including depression, seasonal affective disorder, and severe mood problems experienced during PMS, insomnia and anxiety. Low levels of vitamin D can also interfere with proper testosterone and oestrogen production, leading to imbalances that can result in many unwanted symptoms. Vitamin D also affects our ability to make decisions, concentrate, focus and retain information. To celebrate a longer life, pain-free legs, healthy joints, bones and feet, we need to ensure we expose the largest area of our skin to 15 minutes of sunshine every day. Download my free eBook, “Grow Yourself to Health” and receive my weekly emails about all the aspects to treat Painful, legs, bones, joints and feet.